It's Thursday, I still have to work tomorrow but I am so over this week already. You know what that means? Cheap whiskey, cheap beer, rock 'n roll. First pick, as usual, is ye olde Mohawk. Mikal Cronin headlines in support of his brilliant new LP, MCII go to the show tonight, buy the vinyl at the merch table. Thank me later. 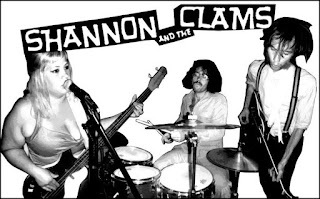 I suggest you arrive to the Mohawk by 6pm tonight because Shannon of Shannon and the Clams will be bartending until 7pm followed by a set from the Clams on the outside stage. Since you're already arriving early enough to get a drink from Shannon, you'll be able to catch Austin bad-asses, A Giant Dog. They'll be kicking things off tonight and you get it all for the price of a $12 ticket. After all the amps are turned off over on Red River, let's head over to E. 6th to see Sleep Over at Cheer-Up Charlies. I'm not guaranteeing you'll see every moment of Sleep Over's set but your odds are quite good. In my experience the last band at CuC usually starts closer to Midnight. I have no idea what's going on with Sleep Over right now but I always enjoy finding out. The track below is from a year ago. Their latest stuff may be nothing like this you'll have to show up tonight to find out.